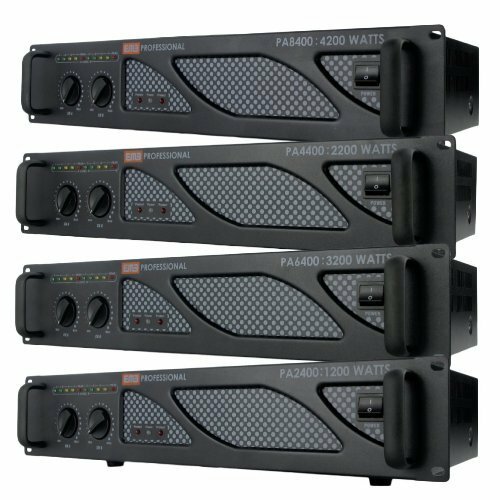 This rack-mountable professional power amplifier packs a huge punch - 3100 watts of maximum power. This amplifier is equipped with dual 1/4 Inches and RCA inputs as well as dual speak on, 1/4 Inches, and banana plug outputs. The dual output level controls allow you to tweak your levels to your exact specifications. The soft start limiter prevents turn-on damage to your speakers. It’s all powered by a high quality ring transformer that eliminates transients and maximizes sound quality. Run in stereo, or bridge with another amplifier for even more power. The EMB Professional PA-2400 power amplifier boasts a maximum output of 1200 Watts giving you more bang for your buck. The PA-2400 has can accept both ¼" and XLR input, and output can be either Speakon, or banana binding post. The front panel boasts separate output knobs, allowing you to have full control of each channel's volume. Front side power switch for easy operation, as well as separate indicator LED's for Power, Signal, Clip, and Protect. The MUSYSIC® SYS-2000 is a Professional Power Amplifier that was developed using the expertise of professional sound engineers, working musicians and professional DJ's. For its price range, it's rare to find a professional power amplifier that compares with the SYS-2000's awesome performance, flexibility and crystal clear sound quality. The EMB Professional PA-4400 power amplifier boasts a maximum output of 2200 Watts giving you more bang for your buck. The PA-4400 has can accept both ¼" and XLR input, and output can be either Speakon, or banana binding post. Single fan cooling with front to rear air flow. The front panel boasts separate output knobs, allowing you to have full control of each channel's volume. Front side power switch for easy operation, as well as separate indicator LED's for Power, Signal, Clip, and Protect. The EMB Professional PA-8400 power amplifier boasts a maximum output of 4200 Watts giving you more bang for your buck. The PA-8400 has can accept both ¼" and XLR input, and output can be either Speakon, or banana binding post. Single fan cooling with front to rear air flow. The front panel boasts separate output knobs, allowing you to have full control of each channel's volume. Front side power switch for easy operation, as well as separate indicator LED's for Power, Signal, Clip, and Protect. This rack-mountable professional power amplifier packs a huge punch – 4100 watts of maximum power. 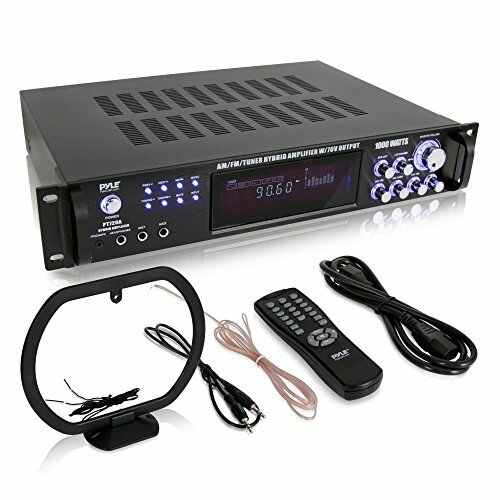 This amplifier is equipped with dual 1/4 Inches and RCA inputs as well as dual speakon, 1/4 Inches, and Binding Post Connectors. The dual output level controls allow you to tweak your levels to your exact specifications. The soft start limiter prevents turn-on damage to your speakers. It’s all powered by a high quality ring transformer that eliminates transients and maximizes sound quality. Run in stereo, or bridge with another amplifier for even more power. http://www.guitarfretboards.com | Review of a Rocktron Velocity 300 guitar power amplifier. Voodu Valve guitar preamp used to demo the 300 watt guitar amp. 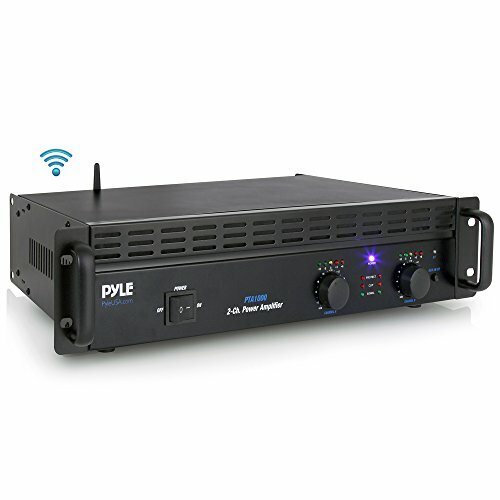 Compare prices on Rackmount Power Amplifier at ShoppinGent.com – use promo codes and coupons for best offers and deals. Start smart buying with ShoppinGent.com right now and choose your golden price on every purchase.